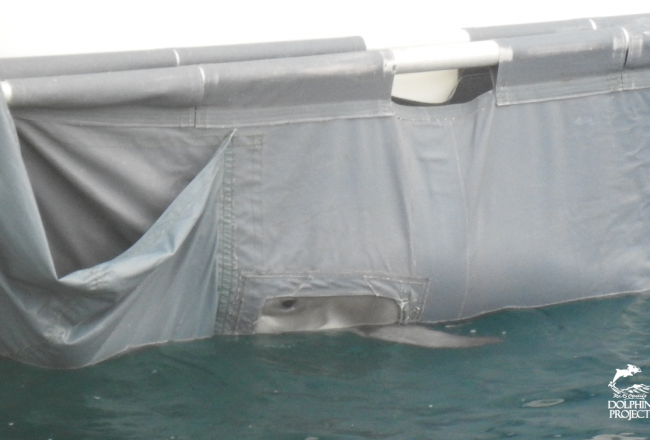 With September 1st fast approaching, and with that, our return to Taiji – the site of the infamous cove – your support couldn’t be more needed. 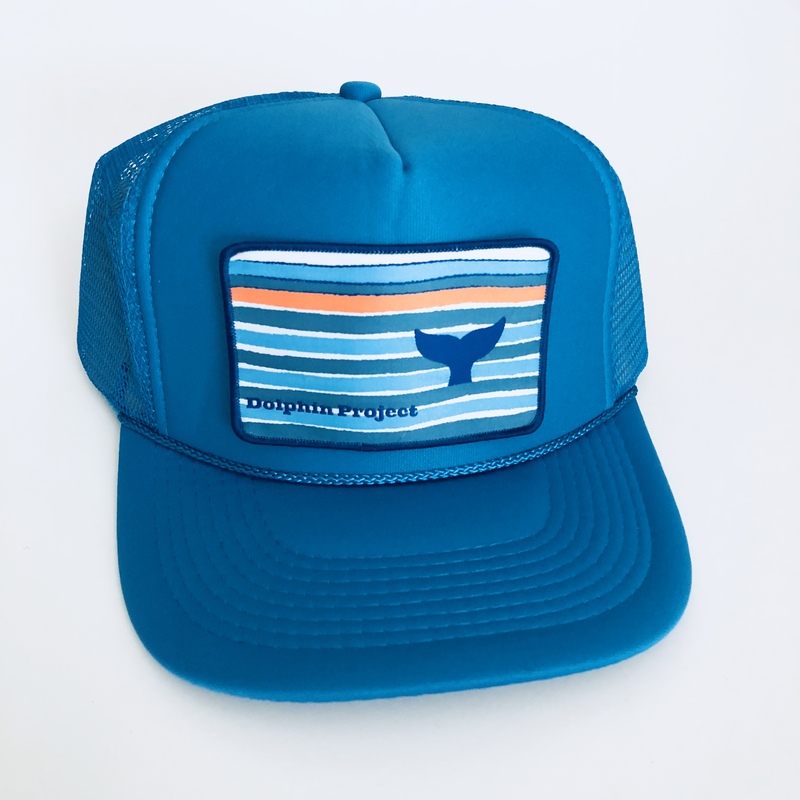 Due to the overwhelming interest in our benefit and first ever auction, Dolphin Project is pleased to partner with the Tony Hawk Foundation in offering some exclusive items for bid. 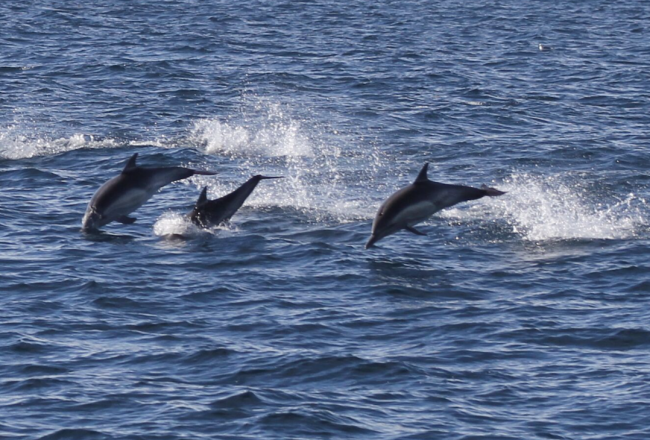 From now until August 26, you can bid on the following, knowing that every dollar we raise goes towards being physically present in Taiji, in order to document and disseminate information during the 2015/2016 dolphin slaughter. 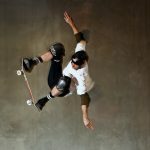 Spend the Day with Tony Hawk at His Personal Training Facility in San Diego and Watch a Skate Session on the Infamous Boom Boom Huckjam Ramp – Tony Hawk and you. Come visit the legend at his personal training facility, Tony Hawk Inc. headquarters in the San Diego area, and witness first-hand a skate session on the infamous Boom Boom HuckJam ramp. You and three guests will have a tour of the Hawk Headquarters (in a group no larger than 20 guests total), which is home to Tony Hawk, Inc., Tony Hawk Foundation, 900 Films, Birdhouse Skateboards, The RIDE Channel and Tony’s Demolition Radio show on SIRIUS satellite radio. 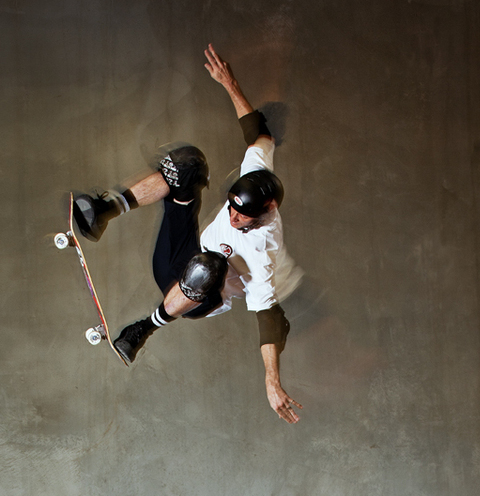 Come have a catered lunch with Tony, shoot the breeze, and watch Tony Hawk and special guests (it could be anyone!) skate a private session up close and personal. After lunch skate with Tony and the guys at the new Birdhouse Skatepark, learn to drop in or just watch the pros in action. Bid now. 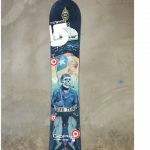 Shaun White’s Personal Snowboard from the 2014 Sochi Winter Olympics – Bid now on Shaun White’s personal snowboard that he rode in the 2014 Sochi Winter Olympic Games! This one of a kind snowboard was autographed by Shaun, and has seen great heights on his way to 4th place in Mens Halfpipe at Sochi. The wear and tear are indicative of the fact that a world-class athlete has used this snowboard in the Olympics. And now this piece of snowboarding history can be yours! Bid now. 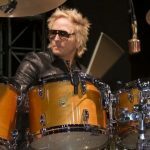 1-Hour Private Drum Lesson with Guns N’ Roses Drummer Matt Sorum in LA – Enjoy a one-hour private drum lesson with Guns N’ Roses drummer and Dolphin Project Ambassador Matt Sorum! 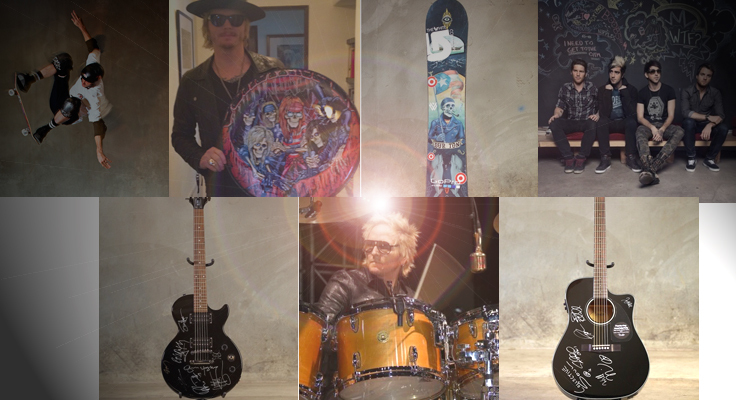 Rock and Roll Hall of Famer and legendary drummer of Guns N’ Roses, Velvet Revolver and The Cult, Matt Sorum is one of rock’s most legendary musicians. His epic percussive backdrops make each song he plays unique, undeniable and unforgettable. Improve your drumming skills when you experience a 1-hour drum lesson in Matt Sorum’s private studio in Los Angeles. This will be the greatest drum lesson of your life. Each hit or kick that Sorum has committed to tape or knocked out on stage can be felt by anyone within earshot. 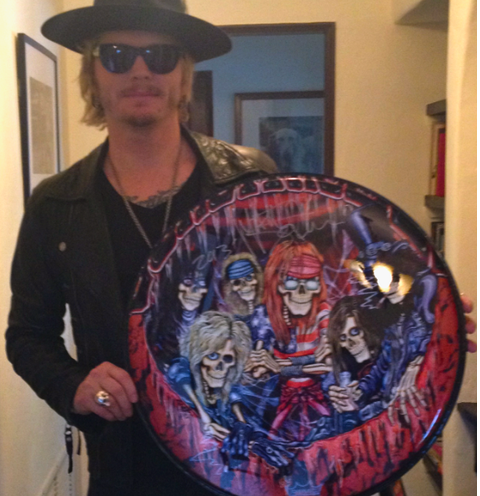 Whether it’s the epic percussive backdrop behind Guns N’ Roses’ “Knockin’ on Heaven’s Door” or the propulsive punked-out beat fueling Velvet Revolver’s “Dirty Little Thing,” Sorum’s playing remains unique, undeniable and unforgettable. Bid now. 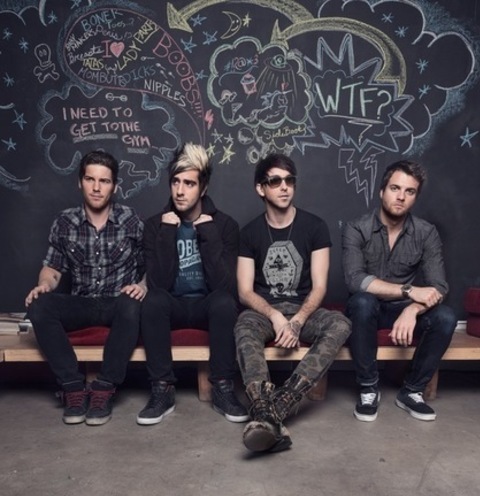 2 Tickets and a Meet & Greet with All Time Low at the 2015 Show of Your Choice – Just – wow! 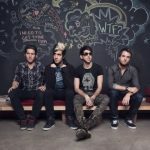 The winner of this lot will receive two tickets to a show of your choice on All Time Low’s upcoming Back To The Future Hearts Tour (10/9-11/29/15), Admission to the pre-show Meet and Greet with All Time Low, and two free merchandise items of your choice from the tour merchandise booth. When it came time to make their fifth album, Don’t Panic, the band decided to look inward for inspiration. Right away, they could tell there was something special about this new music. Bid now. 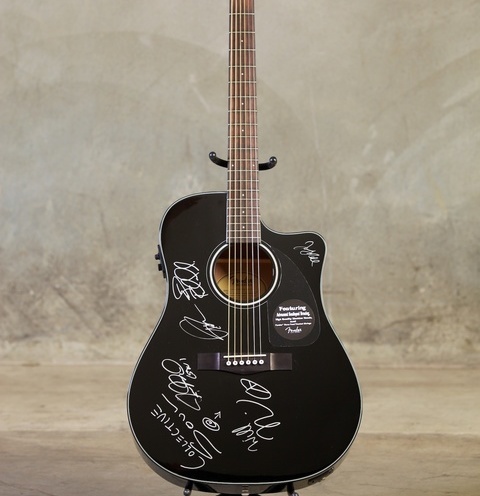 Collective Soul Signed Black Fender Acoustic Guitar – Take home this Black Fender CD60CE Acoustic guitar signed by all the members of Collective Soul – the hard-rocking band from the tiny town of Stockbridge, GA that’s gone on to become multi-platinum hit-makers, playing all over the world. Their debut album Hints, Allegations, and Things Left Unsaid (1994) spawned the massive hit single “Shine” and went platinum that year. Afterwords, their seventh studio album released in 2007, debuted in the Top 25 of Billboard’s Album Chart and on the iTunes Top 10 when it was originally released last year. Songs from Afterwords have also been featured in television shows The Hills, 90210, Celebrity Apprentice, Womens Murder Club, Brothers and Sisters and Shark. Bid now. 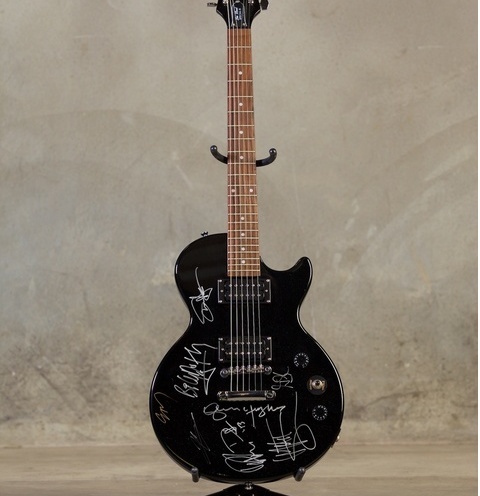 Les Paul Guitar Signed by Slash, Sammy Hagar, Billy Duffy & More – Take home this Epiphone Les Paul Junior “Vintage Sunburst” Guitar signed by Kings of Chaos! 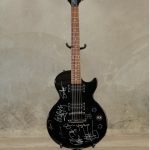 Signatures include Slash, Matt Sorum, Duff Mckagan, Gilby Clarke, Glenn Hughes, Sammy Hagar, Myles Kennedy, Billy Duffy, Doug Aldrich & Corey Taylor. Bid now. 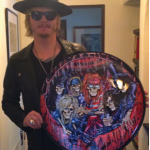 Autographed & Tour-Used Guns N’ Roses Drumhead – Take home a tour-used Guns N’ Roses drumhead signed by Matt Sorum. Originating in Los Angeles in June 1985, Guns N’ Roses’ unique style incorporated punk, blues, thrash, and other genres of music into what was popular at the time: hair metal. Guns N’ Roses have been credited with reviving the mainstream popularity of rock music, at a time when popular music was dominated by dance music and pop metal. The band’s classic lineup, consisting of vocalist Axl Rose, lead guitarist Slash, rhythm guitarist Izzy Stradlin, bassist Duff McKagan, and drummer Steven Adleralong, along with later members Dizzy Reed and drummer Matt Sorum, were inducted into the Rock and Roll Hall of Fame in 2012. Bid now. Even if you don’t win one of these fabulous offerings, you can help support our work in other ways. 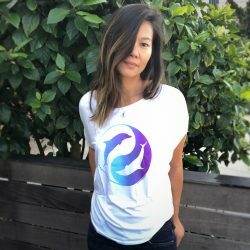 Consider making a donation to support our worldwide initiatives, or wear some cool gear to show your support for the Dolphin Project! 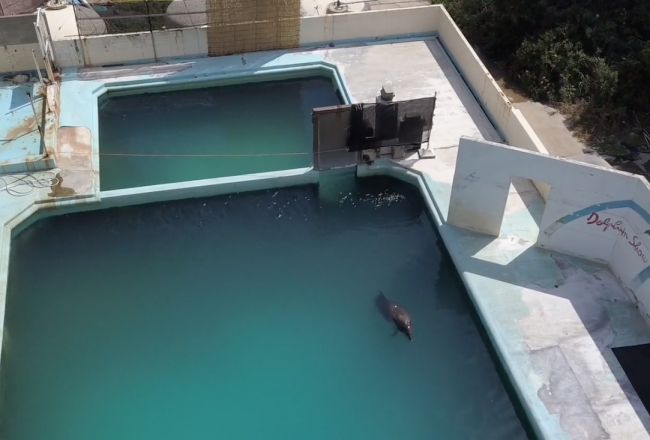 Images courtesy of the Tony Hawk Foundation and the Dolphin Project.